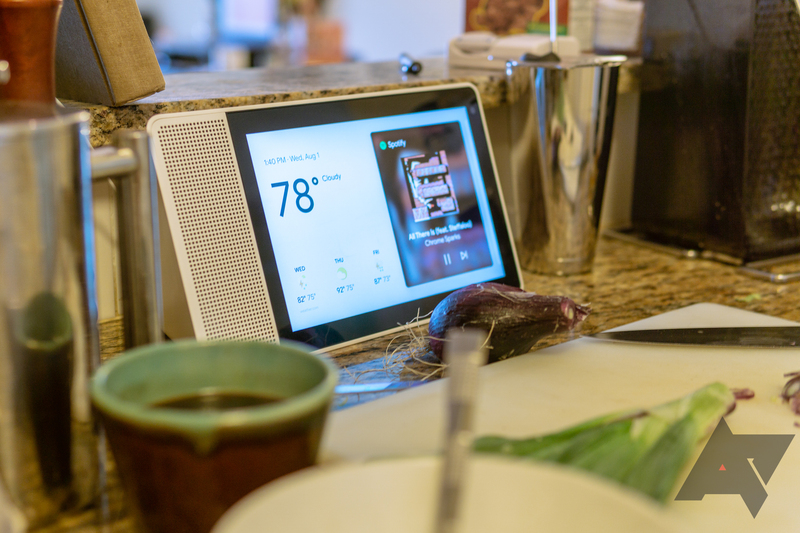 The Lenovo Smart Display was our first taste of Assistant's screen-first experience, but the Home Hub came out more recently with new features. The other smart displays aren't dead, though. Lenovo is rolling out the "R5" update today that adds some refinements and new features to the display. Lenovo was good enough to include a detailed changelog, so here it is. Planning meals just got easier. Cookbook is your virtual cookbook that allows you to find recipes on your smart display and save them for later. Just say, “Hey Google, save this recipe” and your recipe will be added to your Cookbook. When you’re ready to get cooking, try saying “Hey Google, show me my Cookbook” and find the recipe in just a few seconds. We now support being able to always show the remote control when accessed via voice or the Home View for another device even if you have a local media session. We will also show up to two mini tiles for remote sessions on the homescreen in addition to a local playback session. We now support the ability to dismiss tiles from the home screen. Just swipe them up! Note, some home screen tiles are not dismissible, including: Calendar, Commute, Explore, News, Upcoming Reminder, Music & Video Recommendations. Heat-cool is one of 5 mode options on the Nest Thermostat (heat, cool, eco, off, and heat-cool) that “will create a schedule that will switch automatically between heating and cooling on the Nest thermostat to keep your home within a preferred temperature range.” The mode is particularly helpful during the shoulder seasons in regions that have cold nights and hot days. When the user is shown a group light controller (e.g. Living room lights) they’ll be able to control the brightness and on/off state for each light within that group. So, a lot of the changes are related to smart home gadgets that you may or may not have. Everyone can enjoy the dismissable home tiles, though. That's much appreciated. This particular update is intended for the US, CA, and UK markets, which are the only places the display is officially available. In addition, it won't hit all device instantly. Lenovo will deploy it over the course of a week to ensure there are no show-stopping bugs. Apologies for not replying sooner but I have been away on Christmas Holiday. I have received information from Google that there was a slight delay with the update as they found a minor issue during the rollout. This has since been fixed and rollout will continue this week. First it was underway, then Lenovo hit pause, and once again not only is distribution of the Smart Display R5 update happening, but it has nearly come to an end. According to Lenovo, the rollout is set to finally hit all devices by the end of the week, so if you don't have it yet, odds are pretty darn strong that you'll be seeing it land in the days to come.